This recipe was born out of a need for slow-cooker lunch recipes. We have begun our fall home education this past week, and I’ve been in search of simple, slow cooker recipes. I decided to put on my creative hat and make up my own – everyone enjoyed it and we had plenty for leftovers, too! Preheat oven to 220 F. Sprinkle salt and pepper all over the pork shank and ham hock. Add 1 tablespoon of cooking fat to a large dutch oven, and once melted, brown the shank and hock on all sides. Set aside. Add 1 tablespoon of cooking fat to the pot; add the onions, carrots, and celery. Saute for 15 minutes, scraping up any brown bits and adding a little water if needed. Add the cabbage and saute a little longer. Nestle the shank and hock into the vegetables and pour water to just cover the meat. Cover and place in oven for 5 hours. Once done, the meat should fall off the bones (save them for homemade baked beans!) and shred easily. Lastly, add 1 tablespoon of cooking fat to a small pan. Once melted add the garlic and sage leaves; saute over medium heat for 5 minutes. 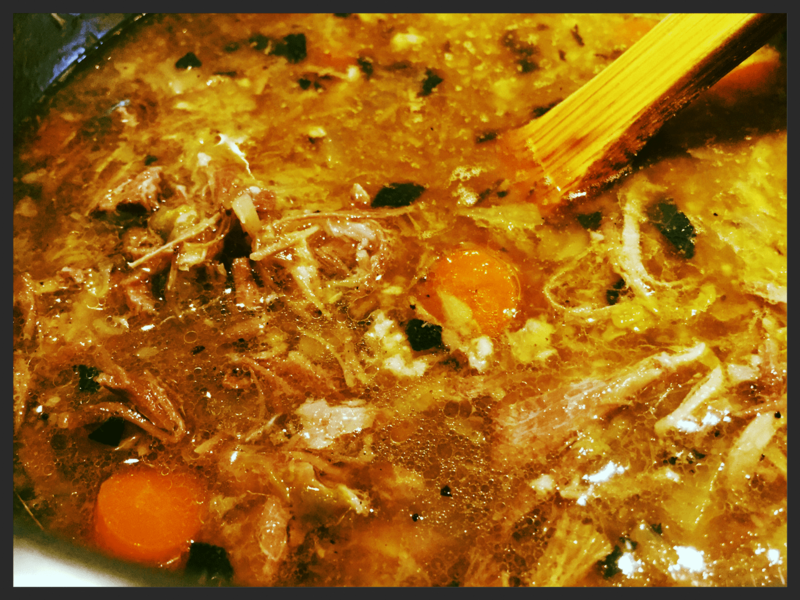 Stir into the stew, add salt and pepper to taste and this tasty Pork Shank Stew is ready to eat!